More and more frequently, it seems as if I am reading about food packaging getting smaller. Sites like Consumerist cover “shrinking products” quite often. I do not usually give too much attention to these stories when I read them, but that is because the products that “shrunk” were not products I use personally or regularly. Twice in the same week, my attention to detail has been insulted by drink companies. Apparently, the companies are hoping you do not notice as they remove nearly an ounce from each bottle. Unfortunately, I did notice. 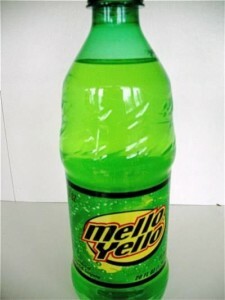 During my vacation a couple of weeks ago, I discovered a new, slightly smaller bottle of mello yello at a gas station while driving. The original container held 20 ounces, like almost all bottles from major soft drink companies. This new bottle was a mere 16 ounces. The smaller size would have been absolutely fine, the last thing I need is more soda in my diet, but what irked me was that the price had not changed. At first, I thought that this may have been an isolated incident. After all, I was out of state when I purchased the bottle. There was no way for me to tell whether it was a local trend to have 16oz. bottles. I wish this was the case, but it is not. The same thing happened to me here at home, so beware! If you are a soda drinker, your serving size may just be getting an adjustment. The Mello Yello was just the beginning. Now my senses are heightened and I am becoming much more aware of changes to the products I purchase regularly. And it happened again. Yesterday, I was in the grocery store and looking for beverages. I was still a little sore about my prior soft drink experience and overlooked the entire wall of colorful carbonated goodness. Instead, I concentrated on the water and flavored water area directly across from the sugar-wall. I drink vitamin water and gatorade much more than soda, so the blow of a shrunken version of a bottle of soda does not hurt that badly. But I do get pretty angry when it affects beverages I drink almost every day. This time, Vitamin Water is the culprit. 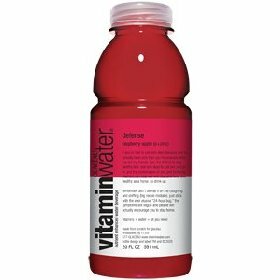 To my knowledge, Gatorade has not (yet) changed their product sizes, but that did not stop Vitamin Water from making the same move as the soda companies. Originally in a 20oz. bottle, the “new” vitamin water has been diminished in the same fashion. The now 16oz. bottles jumped out at me immediately. At first, grasping both bottles (the soda and the vitamin water) made me feel like a giant! I was not sure exactly what was happening. Were my hands swollen? Nope. Oh crap, I realized…this bottle is smaller. I’ve got the sneaking suspicion that these drinks are only the beginning of a trend of even more shrinking consumables. Aside from using our social media and word of mouth to express our disconcern with these changes, we will continue to pay the same prices for less and less product. While I understand that small changes like these make millions more in profits for the companies who produce the products, what does it say about the way they think of their customers? I actually feel insulted that there is no notice of the change anywhere! Then again, maybe you do not want to announce that you are slowly robbing people. Have you noticed any other products that have magically “self-reduced” as of late? If so, let us know here by commenting! Are CEO’s Angry About Previously Owned Products for Sale? Live Like a Rock Star? I’ll Pass. Many!! Deodorant, shampoo, toothpaste … to name 3. It’s certainly a growing trend – same price, less product. Even toilet paper has made the roll shorter in some brands. I’m sue that many of the changes are small enough to avoid our notice, but my guess is that most companies are reducing package size or number of products per box when they release a new packaging design. I’ve noticed a few items try to disguise this as a green effort to reduce packing materials. Of course the thought process is that if the company seems to be doing something good for the environment you won’t notice that they also reduced the portion size.